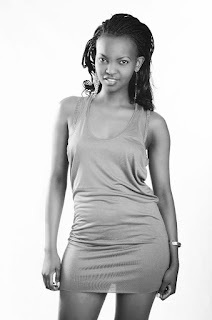 Shirleen Wangari popularly known as Shish is a former Tahidi High’s actress who was known as the bad girl whose mischief could be sensed form a mile away. After she ‘cleared high school,’ Shish and her former ‘class mates,’ Dennis Mugo (O.J), Alfred Mutua (Freddy), Sara Hassan (Tanya) just to name a few have been hustling hard to make ends meet. Recently, the breath taking beauty through her Facebook page said that she was currently promoting a certain brand of burgers. Her image is on the flyer and she is doing just fine.